How to Withdraw Provident Fund Balance? Where to Download Withdrawal Forms? Any public or private organization working in India with more than 20 employees must register with Employee Provident Fund Organization or EPFO India. 12% of your Basic Salary, Dearness Allowance and Food Allowance is deducted from your monthly salary and is contributed towards your PF account. Similar contribution is made by your employer too towards your PF account which is monitored by EPFO. Is Contribution to EPF mandatory? Contribution to EPF is mandatory if your monthly salary is below Rs. 6500. EPF is not mandatory for those with monthly salary above Rs. 6,500, the employer contribution of 12% is again not mandatory. 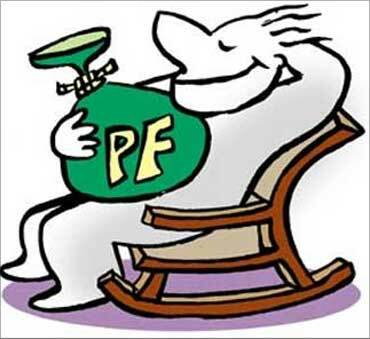 What are the Benefits of Employee Provident Fund? EPF is one of the safest savings option available which is backed by the Government. The amount contributed towards your PF is exempted from tax. You are eligible for an interest on the amount available in your PF account, the interest is calculated on an annual basis, the rate varies from 8% to 12%. You may avail loan from your PF balance. You have an option to withdraw partial or full PF balance. Should I withdraw my PF balance or transfer to my next employer? It is strongly advised to transfer your PF balance to your new employer but there are cases where you are in need of money for higher education, loan repayment, house purchase/construction etc. You may withdraw your PF balance instead of going for personal or hosing loans where you need to pay high interest rate. What is the procedure to withdraw PF? As mentioned above, you have an option to withdraw your PF balance while quitting job from your present company(or you may transfer your fund to your new employer) but there must be a 2 months gap between your current and next employment. Follow the steps below to withdraw your PF balance while quitting your job. Download PF Withdrawal Form - Form 19. Enter your mobile number on the top right box and other mandatory fields. Take the form to your last employer and get it attested. Submit the duly filled form to your PF office along with two blank cancelled cheques, a photo copy of your PAN card, two revenue stamps worth Rs. 1.00 after 60 days of leaving your last employer. If you are eligible for pension, download PF Withdrawal Benefit/Scheme Certificate Form - Form 10C and submit it along with Form 19. Most of the employers takes care of the form submission if the forms were submitted during the exit process. Your employer may ask for your relieving letter, your photo, an address proof and few more documents if you are submitting the forms later, after exit. The amount will be credited to your account mentioned in Form 19 within 30 to 45 days of form submission. If you were in 5 years continuous service with your last employer or the cumulative period including all your previous employment period (where you have transferred your PF balance to your new company) exceeds 5 years, the amount you withdraw is not taxable. If the period of service is less than 5 years the amount will attract tax but there are exceptions such as your service was terminated by your employer or your employer discontinued their business or any other reason which is not under your control. In Bangalore, revenue stamp is not mandatory to withdraw pf. You may leave the field 'Contribution for the current financial year' field under 'Advance Stamped Receipt furnished' section blank. Field 'Are you willing to accept Scheme Certificate in lieu of withdrawal benefits?' should be ticked 'No' if your contribution is less than nine and a half years.